Vegas is home to some of the best nightclubs on the planet. Sin City is known world-wide for its premiere nightlife that notably provides the best memories you can — or sometimes cannot — remember. On Chris Hornak’s VIP Guestlist, you can get on the guest list for some of the hottest nightclubs in Vegas. This means you beat the line, get free and quick entry, and your ladies get some sweet drink specials. However, before you party the night away on our guest list, read through this handy Las Vegas club guide. 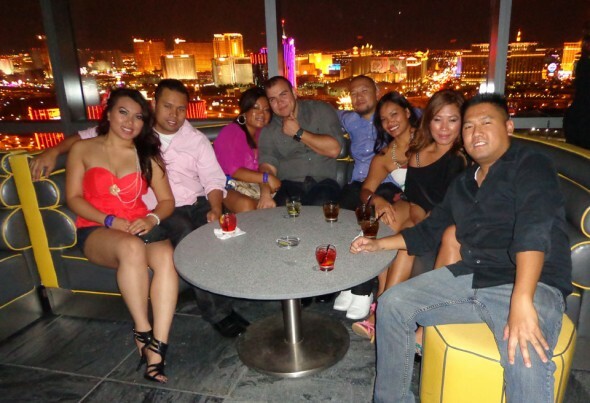 Here at Free Vegas Club Passes, we’re not only your concierges but also your partying jedi-masters. Leave the board shorts, flip flops, tennis shoes, and hipster trends in the hotel. Come on – you’re in Vegas! So dress like it. Ladies, put on your best dress or flashy outfit. Gentlemen, wear a nicely fitted shirt and pants and most of all don’t forget about proper shoe wear! Yes, you can be denied entry because of your new Nikes. No, the bouncer won’t want to hear how much they cost you. And to the hipsters, yes, you will be pulled out of line for your Urban Outfitters flats. No, the bouncer doesn’t want to hear how a child in Africa received a pair for themselves when you bought your pair of Toms. Nice dress shoes with a little shine is what the bouncers expect from you lovely clubbers. Ladies, it’s time to rock those new boots or heels you bought just for this trip. You’re in Vegas now and attending some of the premiere nightclubs in the country. Dress to impress! Though you should dress well, make sure to take your feet into consideration. Ladies, I know your legs just look so spectacular in those 5 inch heels, but trust me, at the end of the night, you’ll be taking a walk of shame barefoot through the casino. All us women have been there, so we should have learned our lesson! Don’t wear heels that you’re going to be wishing you could take off an hour into the club… or that hurt to the point you’re downing everyone’s drink around you just so you can numb out the pain. Painful feet can wreck a good time and induce whining like a five year old… and nobody likes being around that. Granted, most club bathrooms offer cheap flats in a bag that you can buy, but then you’ll be trying to party while hanging onto your heels. That can be both a hassle and a hazard. You might accidentally stab somebody with your heels while fist bumping – and an evening in the Emergency Room is not anybody’s idea of a good night out. The guest list has its own line separate from General Admission so you can surpass all the ticket-buyers and feel all special. On a regular night, we usually say arrive between 10 pm to 11 pm to ensure you get the smoothest entry possible. There are other people who are on guest lists too so take into consideration that the guest list line could build up at a big event. Let’s be real, if you show up to the guest list line at 12 am when Skrillex is playing at the country’s number one nightclub, XS, then you are in for a longer wait-time. Just get to the clubs at the time we recommend. Trust us, we know Vegas. It’s kind of our job. Stumbling to the doorman drunk off your feet and demanding that the bouncer let you in is not going to fly in Vegas. The club staff, regardless of you coolness level, expects consideration and respect. Pre-game all you want before the club but just make sure you don’t cross the point of becoming a belligerent drunk ready to start a mosh pit, or one of those sloppy ladies trying to flirt with the doorman because you think that will get your group in faster. As a guest list VIP, you won’t wait in line long so be patient! And make sure to put yourselves in the doorman’s shoes. How would you like dealing with Vegas drunks all night? So stay classy, show consideration, and remember those very distant memories of being taught how to say please and thank you. I often speculate on what you men are thinking trying to club in Sin City with a group of all guys and no ladies. It’s a cardinal Vegas rule, people! For the bigger nightclubs such as XS, Hakkasan, Marquee, or LIGHT, you have to have an even ratio or one lady for every gentleman. Why is this rule so strongly enforced? Clubs strive to keep the atmosphere as proportionate as possible with both ladies and gents. If all you guys show up to a big name club with no ladies hanging on your arms, be prepared to be denied entry. However, if you can’t bring ladies on your trip, we do offer guest lists to a few popping clubs that don’t require an even ratio such as LAX, Body English, Savile Row and Ghostbar. But my personal advice to you guy-heavy groups out there? Bring your lady friends so you can have more nightclub options… even if that means bringing your mom, your friend’s mom, that one aunt you never talk to, your Realtor, and your housekeeper. Get them on our VIP guest list and you’ve got yourself one hell of a Vegas party!